Monarch is relaunching its brand, which will boast its first strapline "Fly your way. Every day." Monarch's is positioning itself as a scheduled airline that allows customers "greater" freedom to select the products and services they require when they fly. The relaunch marks the airline's biggest rebrand in the past seven years, the company said. Changes include an overhaul to the plane's livery and a new brand message that focuses on the airline's scheduled services. The airline's fleet of 30 aircraft will be rebranded in the company's yellow and purple colours, and the message "Fly your way. Every day". The rebrand has been created by several agencies, including Milton Bayer and Flourish Creative. The supporting campaign will run across print, outdoor, digital and direct marketing activity. The new services provided by the airline claim to let consumers "tailor" their flight packages to their own preferences, by booking allocated seats and having different options for in-flight meals and extra-leg room. 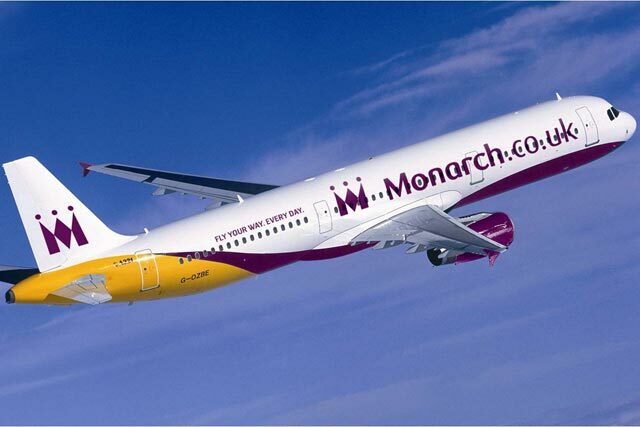 Conrad Clifford, chief executive of Monarch Group, said: "The new brand is a key milestone for the company as we focus on scheduled operations. "The refreshed brand is the visual manifestation of a strategic shift in the business that will give consumers the widest possible choice of services, both on the ground and in flight." In January, Monarch began the search for a new agency to handle its £4m advertising account, as the airline sought to raise its profile in a competitive industry. The media-buying account, handled by incumbent Carat, was unaffected by the pitch process.